Inelastic demand is when the buyer’s demand does not change as much as the price changes. When the price increases by 20% and the demand decreases by only 1%, demand is said to be inelastic. This situation typically occurs with everyday household products and services. When the price increases, people will purchase the same amount of the good or service as they did prior to the increase because their needs stay the same. A similar situation exists when there is a decrease in price as people will continue to buy the product or service. This number shows that a price decrease of 1% will also increase demand by 0.0949%. Note: A perfectly inelastic demand is when a change in prices does not change the quantity of demand at all. Using data from the example calculation, a demand curve is drawn by placing the price on the Y-axis and demand on the X-axis. 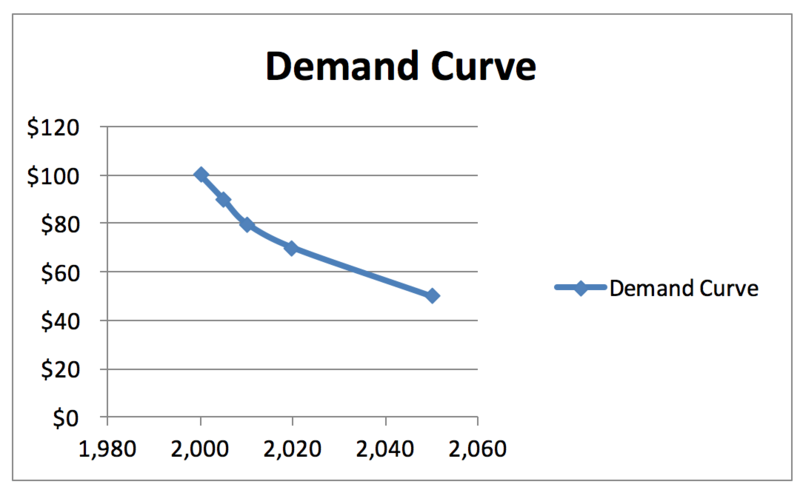 The line drawn from the example’s data results in an inelastic demand curve. Perfect demand means that prices or quantities are fixed, and are not affected by the other variable. Unitary demand occurs when a change in price causes a proportionate change in quantity, and they are always equal to each other. Economics Interview QuestionsEconomics Interview QuestionsThe most common economics interview questions. For anyone with an interview for an analyst position in at a bank or other institution, this is a guide. While there are an unlimited number of economics questions you could be asked, these questions will give you a sense of the types of questions you could get.